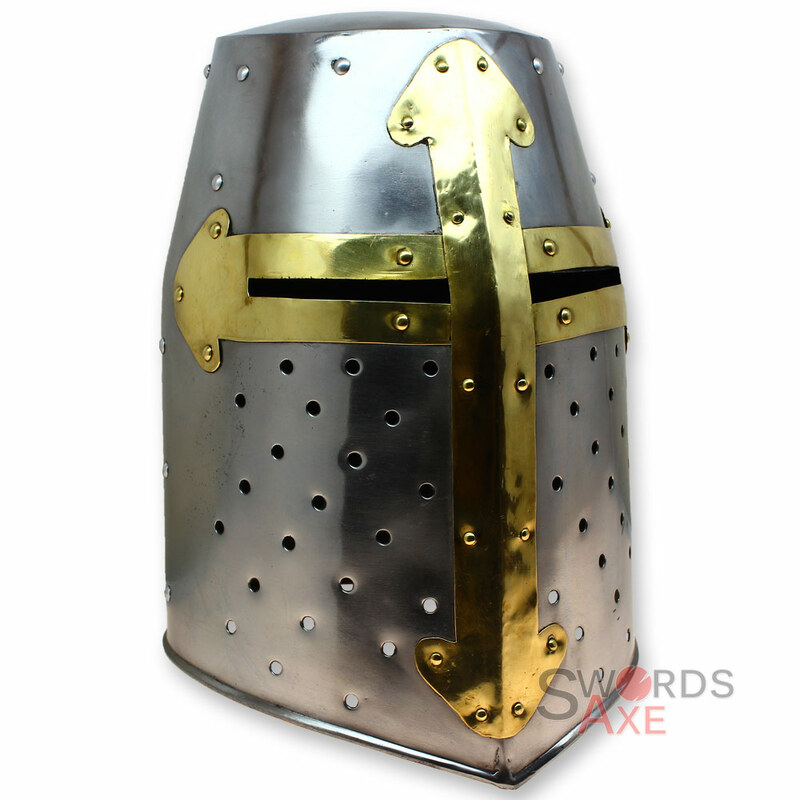 During the 12th century in Europe, warriors fought hand to hand with weapons and armor, and the Crusaders Great Helm was the prime helmet of choice. It offered protection of the entire head and plenty of breathing holes and reinforcements. 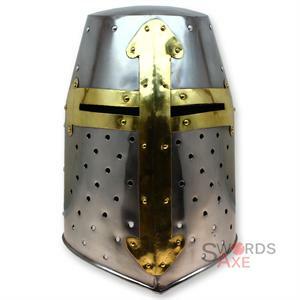 Essentially, it was made as a cylinder of steel formed into a slightly ovular shape with eye slit openings and also extra strips of steel or brass riveted along the edges for added protection. This replica version is flawless and made by a blacksmith, by hand forging, and built to be functional. 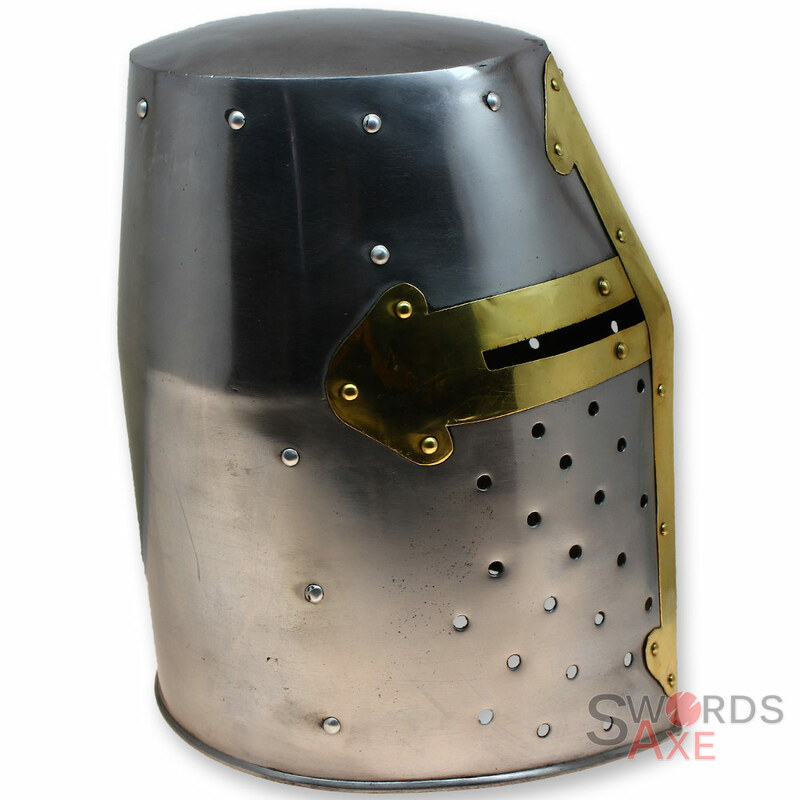 Use it in ceremonies, reenactments, costume, decoration, or even to duke it out with the neighbors... well maybe try to avoid that last one. Each helmet is hand forged and made one at a time by a blacksmith. You may notice slight variation in the work but each unit is the same in design and craft.